Each year since the time of the Buddha, at the end of the three-month Rains Retreat, the lay community around every Buddhist monastery has gathered to celebrate the completion of the retreat and to offer to the monastic community gifts of cloth and supplies that will be useful for the coming year. The cloth is then cut, sewn and dyed by the monks to make a robe on that day to offer to one of the Saṅgha. This 2,500-year-old tradition is still carried on here in the West in the Theravadan monasteries. It is initiated by a lay supporter or a group of supporters who request to organize the preparation and formal offerings. It is both a significant and joyful occasion that, over time, has become emblematic of the richness of the relationship that exists between the lay people and the monastics. This relationship is characterized by deep bonds of friendship and commitment to mutual support. All year round, the monastery functions solely on offerings from the lay community. Ajahn Amaro, co-abbot of Abhayagiri from 1996 to 2010 and current abbot of Amaravati Monastery in England, Ajahn Jayanto, abbot of Temple Forest Monastery, and Ajahn Sudanto, abbot of Pacific Hermitage will also be here for the ceremony. Details on Ajahn Amaro’s two-week visit and scheduled teachings may be found below. Please plan on carpooling if possible. Parking is limited. Please be here well in advance of the 11 am meal offering. 11 a.m. Meal Offering People are welcome to bring a dish to share. 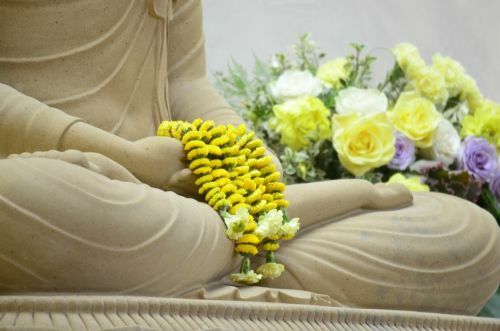 1:30 p.m. Kathina Ceremony Refuges, Precepts and Dhamma Talk by Ajahn Amaro. Anyone who wishes to make offering for Kathina can consult the Kathina Dana List. If you plan to offer items from the dana list, please let us know so we can remove them from the dana list. This can be done by emailing AbhayagiriKathina@gmail.com or calling Catherine at 415-595-7050. If you have questions about the Kathina or your offering, please call or email as well. If you would like to self-organize your own carpool, then Eagle Peak Middle School (8601 West Rd, Redwood Valley, CA 95470) is also available on Kathina Day as a place to meet up with others, safely park your car, and then carpool together for the final seven miles to Abhayagiri.